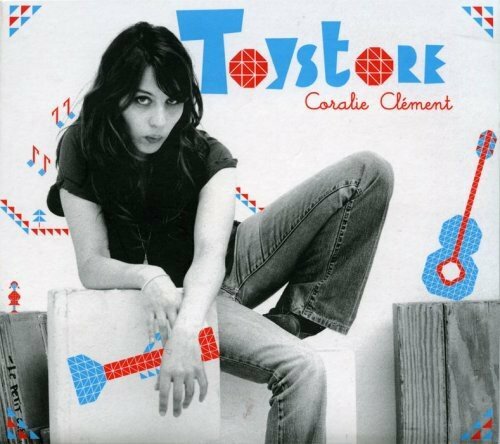 Coralie Clément, the tri-lingual french pop singer (she records in French, English, and Italian), took a playful approach on her third album, Toystore. Backed by a montage of toy instruments (ukulele, pennywhistle, pocket comet, alto half-violin, slide-flute, Melodica, maracas, shaker, xylophone, baby Farfisa) Clément's breathy, enticing voice is appropriately and amusingly disconcerting when singing lyrics such as: 'That's the life, that's the life we lead. Sedatives and cafe creme' on 'C'est la vie'. 'This record came as naturally as my first album,' she says. 'It was as if I was guided by a film director.' Clément's expressive vocals are a perfect fit for film, something a growing number of directors are learning. Her songs have already been used in films; like L'Idole (2002), Something's Gotta Give (2003) with Jack Nicholson and Diane Keaton, as well as in an episode of The L Word. Already a fan favorite in Japan, Germany, and Italy, Clement is now set to take over the rest of the world.